By the grace of God and the leading of His Spirit, Pastor Philemon Mbuyisa has been appointed as permanent Shepherd to the congregation at Njojane. Final preparations are being made to the pastor’s house on site at the Care Point. In the meantime, Pastor Philemon is already preaching every Sunday and spending time with the community during the week. Moving forward, we are excited to see how this appointment will positively impact the entire community of Njojane. 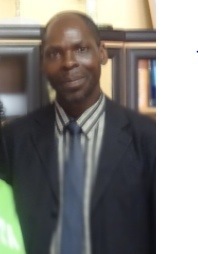 Welcome Pastor Philemon!